Mike: Thank's for the tips...for the S.P.A.D. XIII...I will complete this a/c with some newer methods...as noted in an earlier post, I started this particular kit in 1968...and most of the parts have been prepainted..so I hope to preserve as much of the original build as possible (sucker for nostalgia..eh? )....as I've done some some research on this a/c I'm impressed with how significant this technology was in 1917/18...and the model looks 'way cool' as they say... ... We even called the Skyraider a SPAD uring the Vietman war. So, I hope to get cracking on this long over due completion so that it will be done by the end og the G.B. Another entry in this GB. I started this model in the spring of 1969. 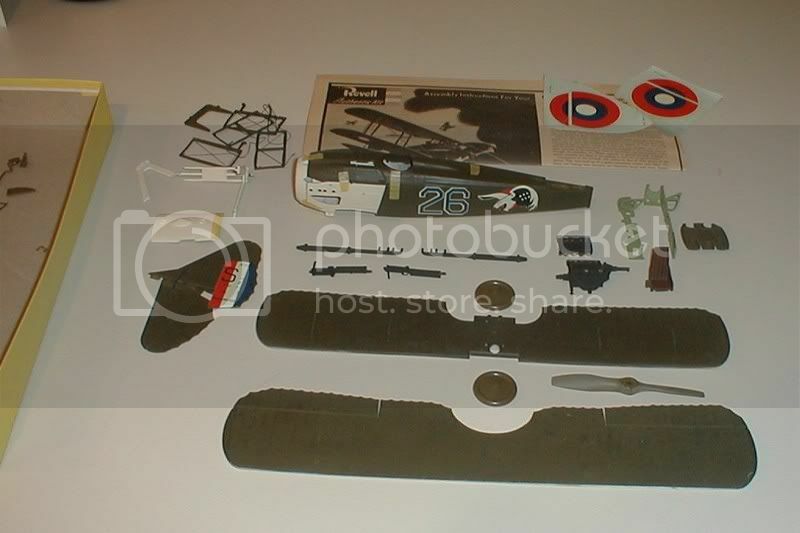 The Revell 1/28 SPAD was originally issued as kit H-256 in 1957. At that time it had decals for Capt. Eddie Rickenbacker's A/C. It may have been the very first in this series of 1/28 WWI a/c models. My kit was a later re-issue featuring Lt. Frank Luke's a/c. Frank Luke being remembered as the "balloon buster" of the A.E.F. Lt. Luke was killed in combat in 1918. I must have built this kit at least five times in my youth! I love it....build it. tHANK'S for the encouragement guys...anything IS possible..